In some instances, you might experience issues registering desktop clients. First, on your server, launch Services. In the Services window, make sure that the server service is running on your server machine. 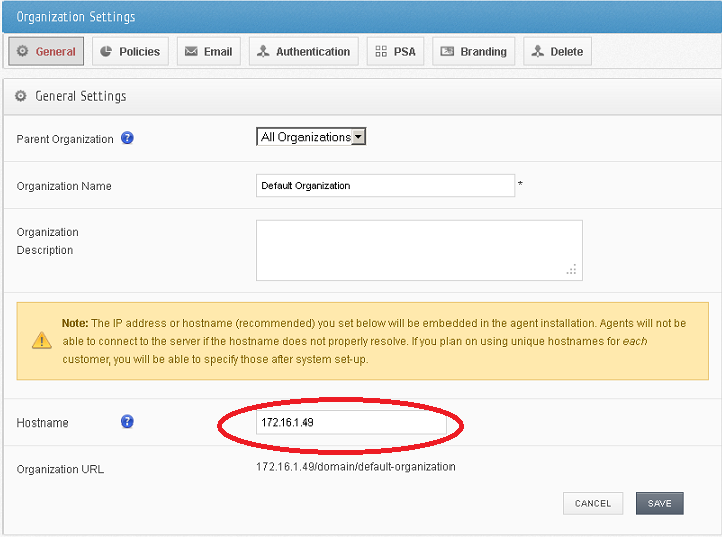 If it is, log in as an administrator to check the hostname field. It should match the IP address of the server machine, not localhost. Note: You should also check the hostname for the organization to which you are trying to register the user. If the server service is running and you have the correct hostname, redownload SyncTool App from the web client. Make sure that the desktop client's filename has the hostname in it. Contact support if you still cannot resolve the problem.